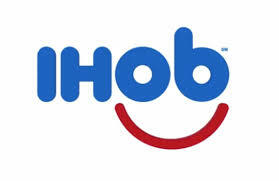 Home > Services > Articles & White Papers > IHOP’s faux name change is a great marketing idea, but is it good for the brand? IHOP’s faux name change is a great marketing idea, but is it good for the brand? International House of Pancakes, has had a good deal of fun in the past couple of weeks announcing that they were “flipping the p” in their logo and changing their name to IHOb. The social media world was all aTwitter (sorry) about what the “b” would stand for (Bacon? Breakfast? Brunch?) and whether or not this was a smart move for the brand. After a week of speculation and coy remarks from IHOP, they made the “B” announcement: IHOP has become IHOb, the International House of Burgers, well, at least for now. IHOP or IHOb isn’t committing to the name for the long term, but they’ve gotten our attention. As a marketing move, this is brilliant work. IHOP threw out a teaser campaign that unleashed a tidal wave of Internet snipes and counter snipes and with tongue firmly planted in cheek continued the ruse as customers, marketing pundits, and competitors all weighed in on the subject. The ploy is essentially leveraging a temporary re-branding of the chain to draw attention to a new line of burgers they are introducing this summer. IHOP knows it’s a ridiculous idea to seriously consider corrupting their brand name, but in the new world of pop-up marketing, this is one of the best examples yet. As for their brand, though, it could be a different story. What IHOP wants, of course, is to remain the king of pancakes and be known for burgers, too. This is harder than it sounds. When a brand wins the battle for a certain category, in this case, pancakes (not waffles, that’s a different house), it can find it difficult to expand from there. In the late 1990s, Boston Market had established itself as a brand that provided full-blown dinner takeout meals, with rotisserie chicken, ham, and meatloaf entrees with all the trappings of a home-cooked meal. In an attempt to capture more of the lunch trade, they introduced their Carver Sandwiches, which sold well for a time. Eventually, however, competing with the burger joints of the world for the lunch crowd proved costly from a marketing standpoint and confusing from a brand point of view. Their audience had trouble combining the image of a comfort food meal provider with a fast food image, no matter how good or bad the sandwiches were. IHOP may dodge long-term brand confusion by making this a temporary move, rather than a permanent one. And the campaign should win some kind of award for the immense publicity value it generated. But awards don’t build brands, no matter how shiny they are. The reality is that IHOP doesn’t want to actually be a House of Burgers, they just want you to know they have a new line of them for lunch or dinner, which are their weaker dayparts for sales. To do this, they are walking a fine line between over-the-top promotion and confusion on what they stand for. But this just may work and sell more burgers–and more pancakes, too.